Good afternoon everyone. How is your Sunday afternoon? 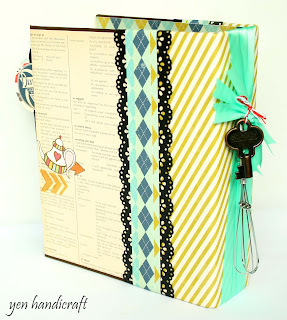 Page 1 & 2:- Front Pocket Decorated with Dollies Paper (Distressed & Stamping Effect) to Slot in some Loose Recipes. 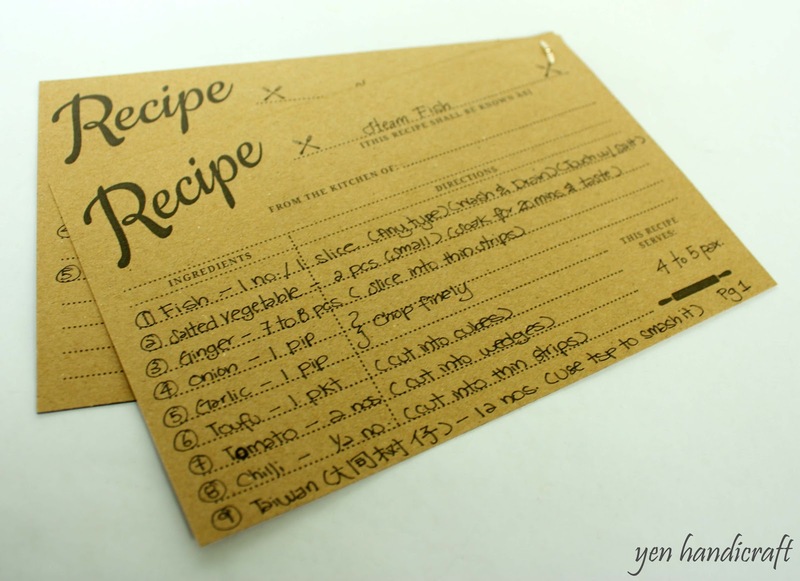 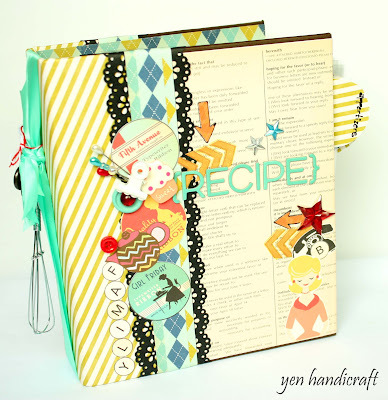 The right hand side showing the Recipe Dividers for different categories. 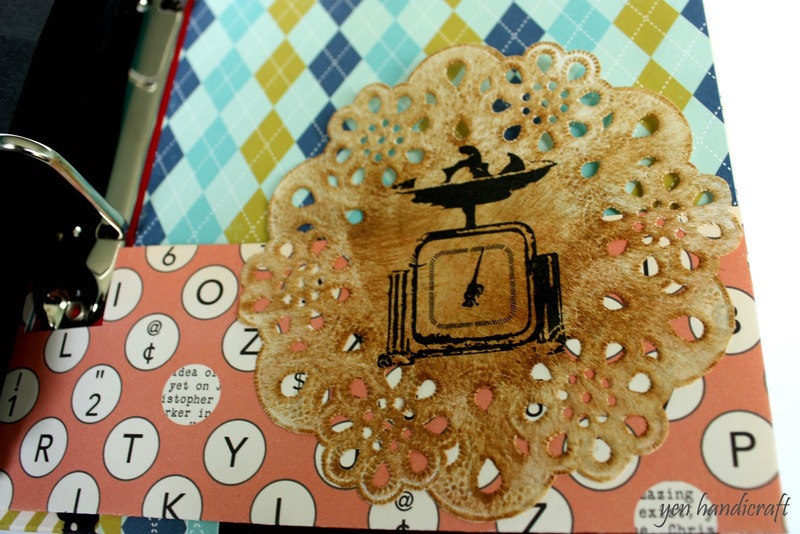 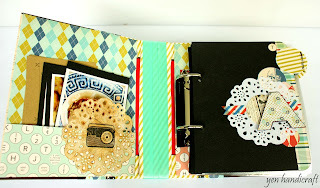 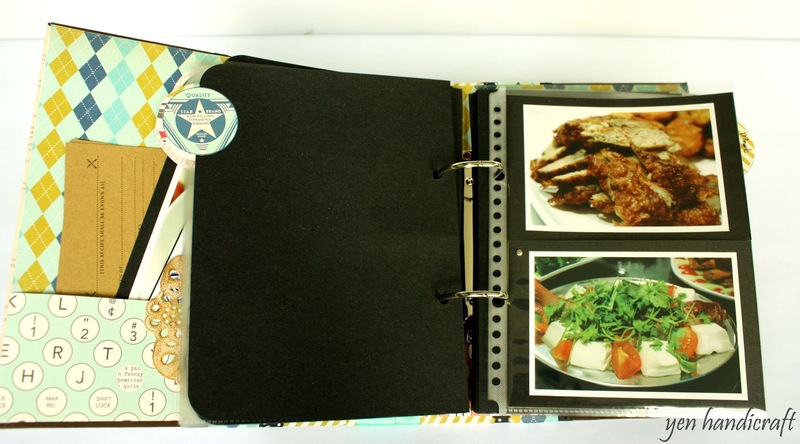 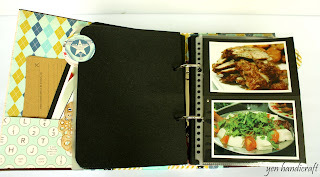 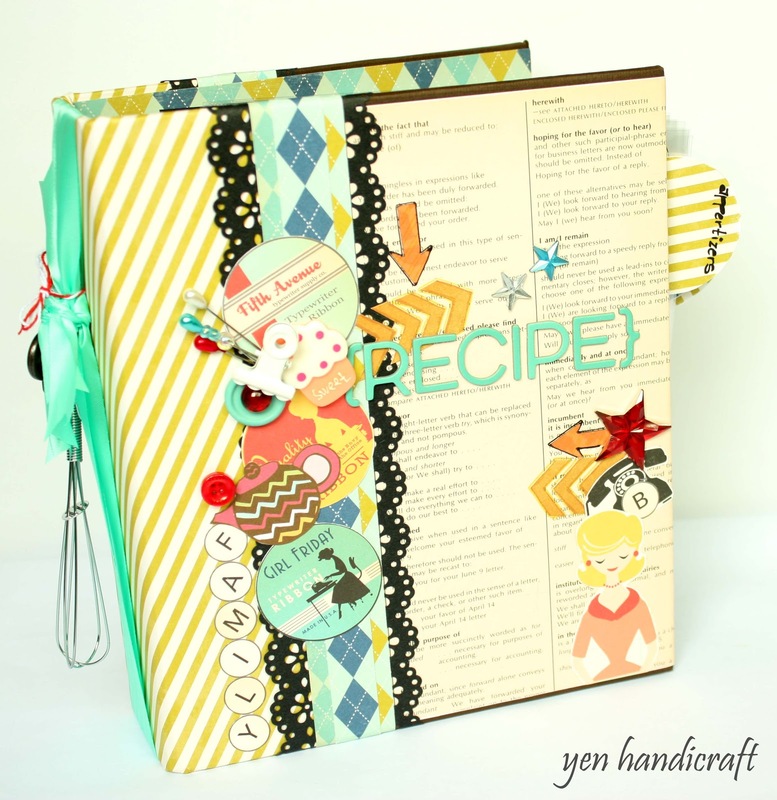 Last Page Pocket also Decorated with Dollies Paper (Distressed & Stamping Effect) to Slot in some Loose Recipes. 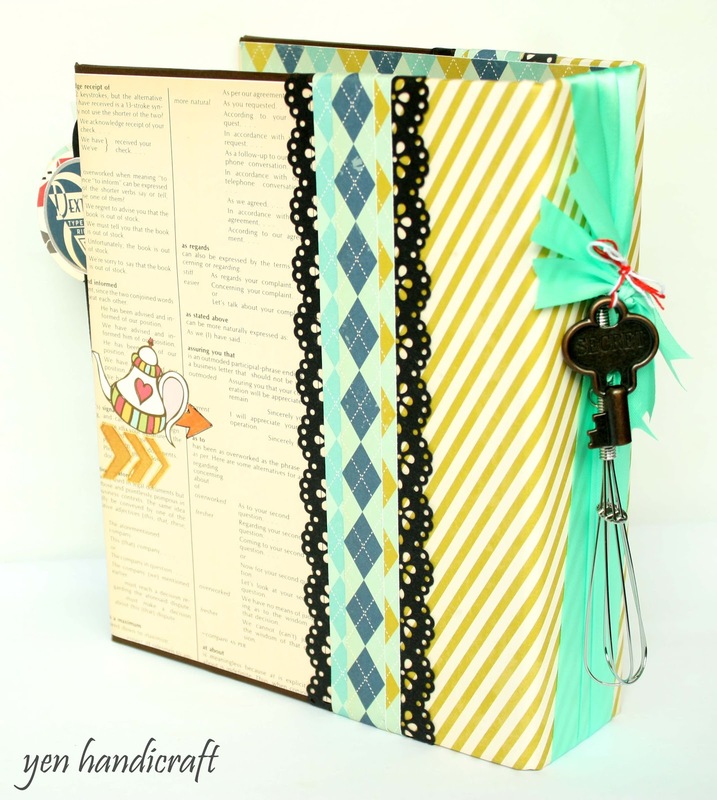 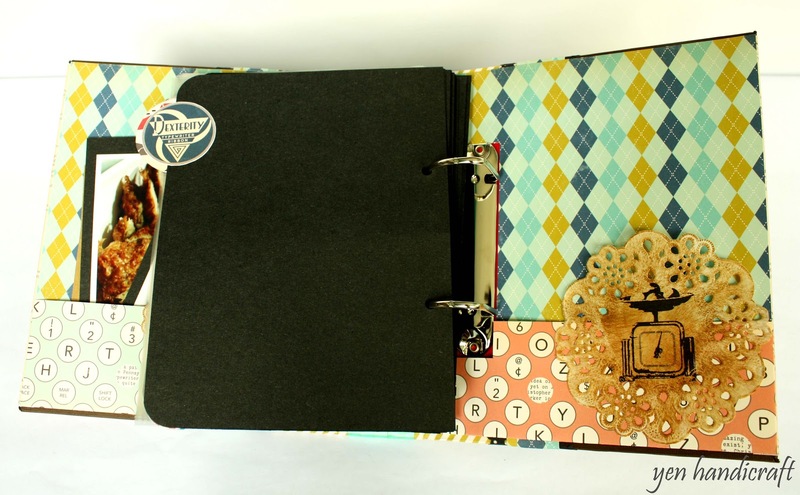 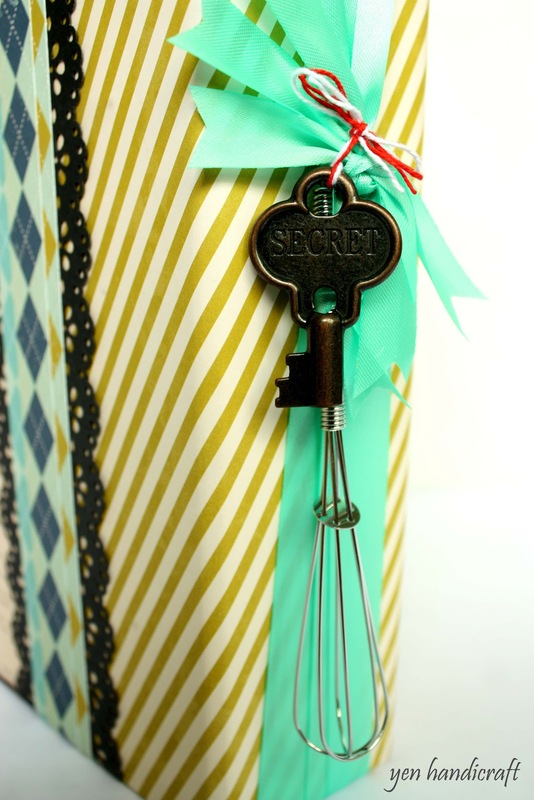 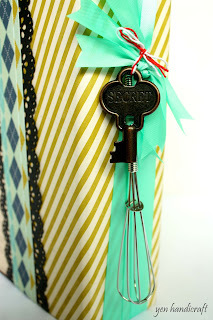 Binder View:- I have Added in the Egg Beater and a "Secret" vintage key embellishments as a Nice Touch. 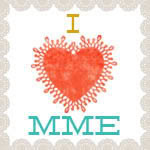 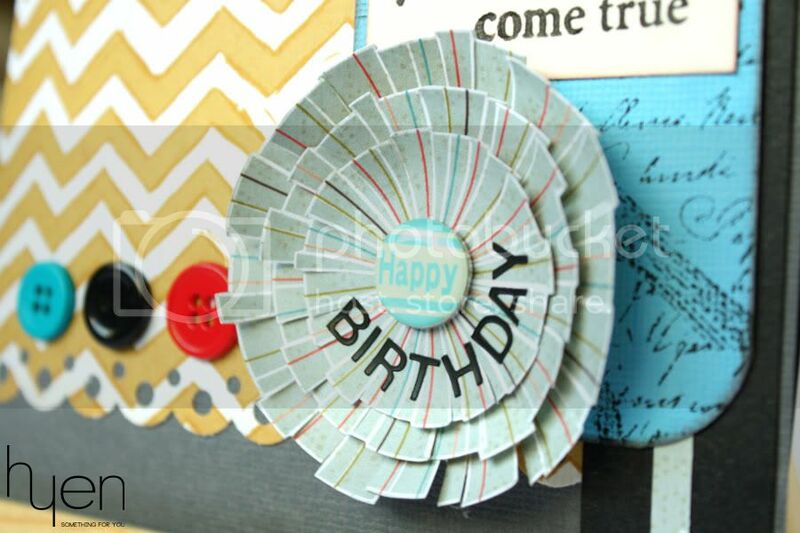 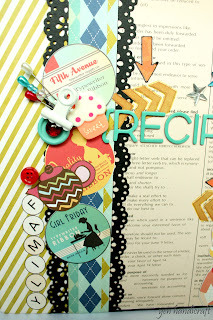 Love these embellishments.